Prof. Haim Cohen – Chairman of the Scientific Advisory Board of Vetek (Seniority) Association – the Senior Citizens Movement. 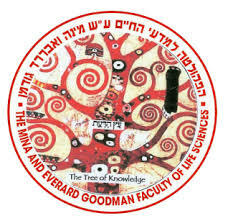 Faculty of Life Sciences, Bar Ilan University. Mr. Rafi Eitan – Chairman of Vetek (Seniority) Association – the Senior Citizens Movement. 16.00-17.00 – Award of 5 prizes to research students in biology of aging, healthy longevity and quality of life. The awardees’ presentations – 10 minutes each. The prizes will be awarded by Chairman of Medton Ltd. Mr. Ytzhak Davidovich.